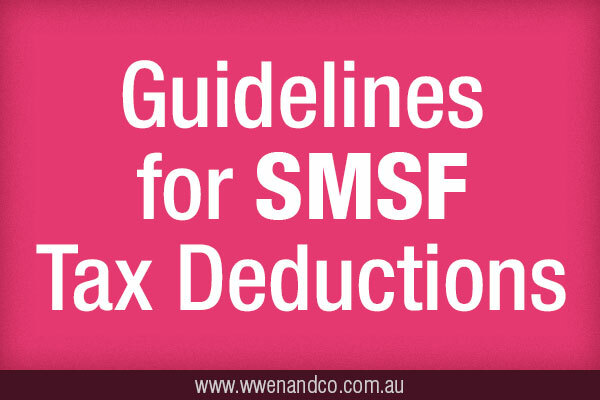 What tax deductions can your SMSF claim? The sole purpose test is a fundamental that SMSF trustees should keep in mind — that is, every decision made and action taken must be seen as being undertaken for the sole purpose of providing retirement benefits for the fund’s members. The word “assessable” is a key indicator. Any expenses incurred to gain or produce non-assessable income (a good example in these cases being a pension) do not qualify as deductible expenses.What’s more, a trustee cannot be “remunerated” for their role. In alignment with general taxation principles, if the fund has both accumulation and pension phase accounts, expenses incurred to produce both assessable income as well as to gain non-assessable or exempt income will be required to be apportioned. As there are various methods of apportionment, depending on whether the SMSF’s assets are segregated or not, it may be best to consult our Epping office. Remember also that some costs can be incurred with managing assets, but as these may partly support a pension income stream, care needs to be taken. What expenses are deductible for an SMSF?